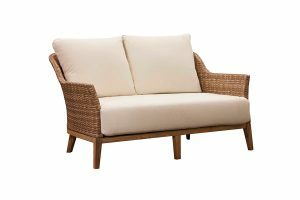 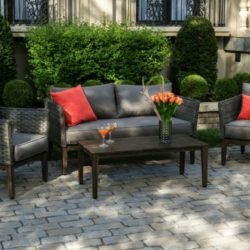 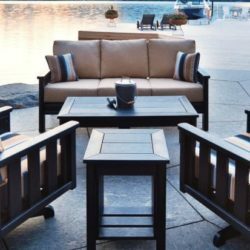 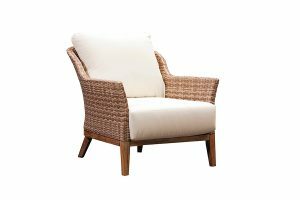 The Indo patio furniture set is a stylish and classic nautical design that brings elegance and comfort to your backyard seamlessly. 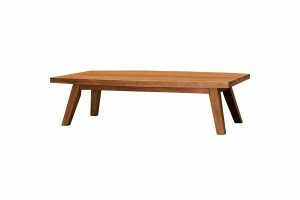 Set sail for comfort with cozy scoop backs, exceptionally resilient resin wicker, and trestle-style recycled teak tables. 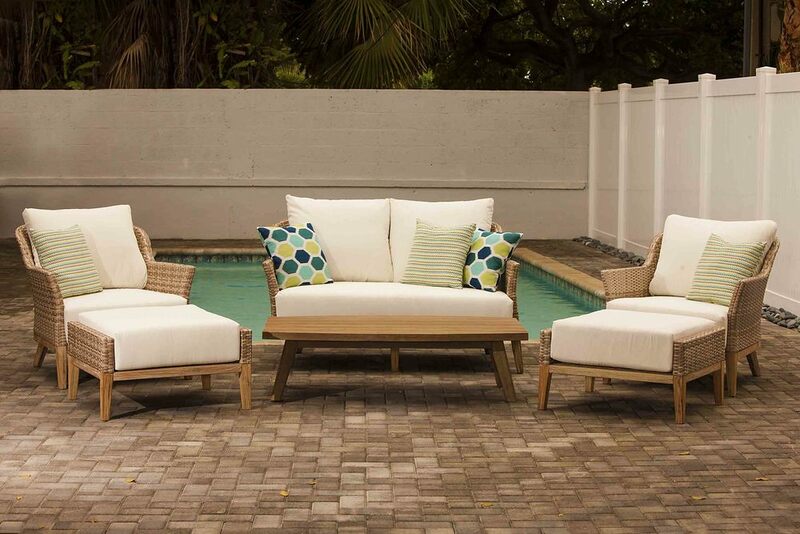 The Suntastic white mix cushion pattern blends the elegant nautical inspired design seamlessly with your backyard. 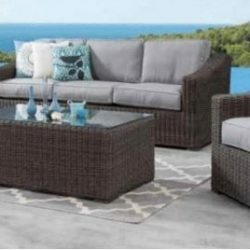 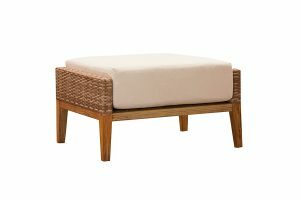 The subtle blend of wood and wicker pairs beautifully together to create a relaxing atmosphere you and your guests can enjoy all summer long.